If you thought the basement sale was huge check this out! 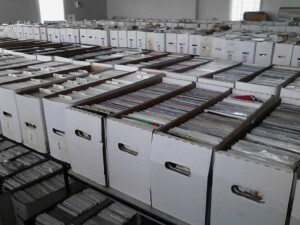 For one day only we open all 3 of our warehouses in Ellwood City and have over 1,000,000 comics all for just $1 each! ← Special Guests: Garrett Free and Matt Bolton to appear at Pittsburgh Mills for FCBD!